Get insights on your personal finance by a Registered Investment Advisor. Its FREE, but spots are limited… Register now. Mr. Singh, a 62-year old retiree, walked into a bank to open a fixed deposit (FD) account. The relationship manager (RM) told him that ULIPs offer much higher returns than FDs. The RM convinced the retiree to invest in a unit-linked insurance plan (ULIP) with a term of ten years. Mr. Singh did not stop to think about how he would pay the premiums as he had a tiny pension. By the time he realized this was not the right product for him, it was too late. Banks and agents are still misselling ULIPs and other financial products with impunity. They are only concerned about meeting their sales targets and maximizing commissions. They tell people half-truths to persuade them to buy products that are not right for them. Although many are now investing in mutual funds, financial literacy is still very low. People are not aware of the different types of financial products, and they don’t know how to pick the right ones. Banks and agents paint a rosy picture and avoid talking about risks. They receive training in dodging questions that reveal the real picture. Therefore its important that you have financial plan in place, platform’s like Mymoneysage.in offers planning tools for free so that you can invest based on your age, goals, return expectations and risk tolerance. Planning will help you to avoid buying unsuitable products. A relationship manager (RM) may ask you to deposit a large sum in a fixed deposit (FD) account to qualify for a locker. Or, he may ask you to open a savings account which requires a high minimum balance. Or, the RM may ask you to buy a ULIP to qualify for a locker. Banks are not allowed to force customers to invest to get lockers. You can lose out by investing in the wrong product to get a bank locker. An RM may ask you to buy gold coins instead of gold bonds. He may say that gold bonds have a lock-in period, but you can sell or exchange gold coins at any time. Although gold bonds do have a lock-in period, you can trade them on the stock exchanges. However, trading in gold bonds is infrequent. You can also buy gold bonds at a discount from the secondary market. Although banks push customers to buy gold coins, they are not willing to repurchase them. If you need money, you will have to sell your gold coins to a jeweler at a discount. The RM may push you to buy a unit-linked insurance plan (ULIP) instead of an FD. He may tell you that ULIPs offer insurance, higher returns, and tax deductions. He may say that you can invest for five years and then remain invested for another five years to build a large corpus. ULIPs have much lower upfront fees than before, but the returns are more moderate than promised. Banks and agents will not give you anything in writing about the promised high returns. A ULIP is not suitable for a risk-averse investor who needs a regular income. The RM may try to persuade you to invest in a balanced mutual fund instead of a bank FD. He may say that balanced or hybrid funds offer much higher returns than FDs. What he will not say is that balanced funds are much riskier than bank FDs and dividends are not assured. A balanced mutual fund does not guarantee a monthly dividend. The fund manager may skip the dividend if the stock market dips. You will suffer a loss of capital if the mutual fund keeps giving payouts when the stock market falls. A balanced fund may not suit you if you need the safety and assured returns of a bank FD. The RM may push you to invest in the FD of a non-banking financial company (NBFC) instead of a bank FD. He may say that NBFC FDs offer much higher returns than bank FDs. He will evade questions about whether NBFC FDs are as safe as bank FDs. The standard response is that NBFC FDs are secure and have high credit ratings, so defaults are unlikely. In reality, bank FDs are much safer than NBFC FDs. The RM may try to convince you to buy a ULIP instead of the Senior Citizen Savings Scheme (SCSS). The RMs of some private sector banks say that only public sector banks offer the SCSS, and this is not true. Private sector banks also provide the SCSS. Others say that the SCSS is only for those who are over 60 years of age, which is not true. Those who are more than 55 years old and have retired or taken VRS can also invest in the SCSS. Managers and agents claim that ULIPs offer much higher returns. However, the SCSS is suitable for a retired person who needs safety and an assured monthly income. 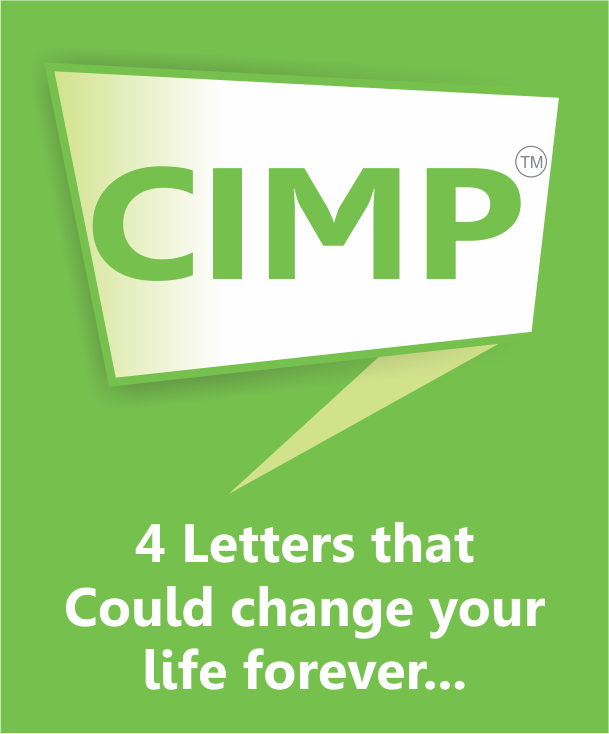 The RM may persuade you to buy a ULIP instead of a term insurance policy. He may say that term insurance only provides risk coverage. It does not generate any returns, and you will not get the premiums back. The RM may say that ULIPs offer high returns with almost no risk. In reality, market-linked investments always involve risk. A ULIP offers low insurance coverage for a high premium as compared to a term insurance policy. It’s best to keep insurance and investment separate. 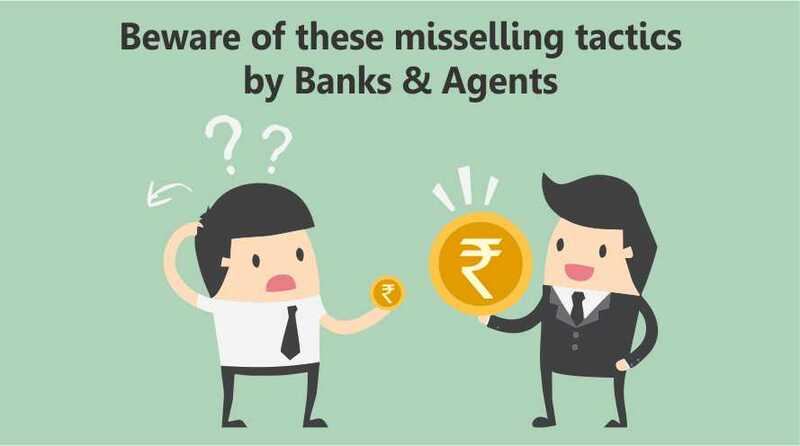 Misselling by banks and agents is rampant. Banks promote ULIPs, balanced funds, etc. in lieu of an FD. They ask for deposits in return lockers which is of course unfair. They coerce you to buy loaded insurance policies while giving you loans. It is very important to choose financial products that suit your profile & stick to your plan, so that you don’t fall prey to someone else’s plan. Mutual Funds Vs. ETFs: Where to invest? What is your FQ ? KishorKumar Balpalli, believes that financial literacy and discipline is the key to one’s financial freedom. 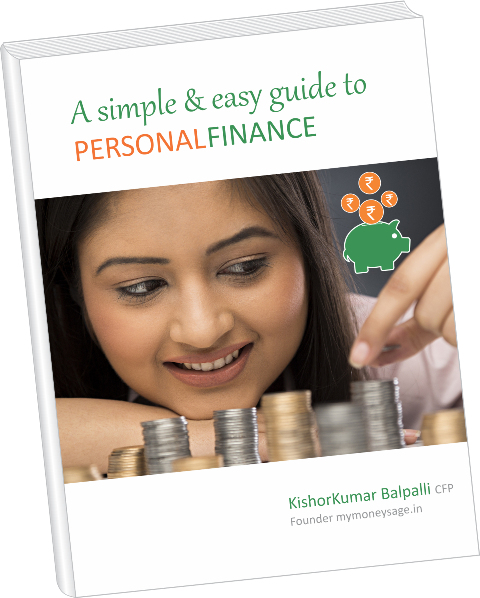 KishorKumar is a Certified Financial Planner, Personal Finance Blogger & the Founder of Mymoneysage.in an award-winning Wealth Management platform. Mymoneysage simplifies investing for individuals and amplifies business growth for Registered Investment Advisers by leveraging Artificial intelligence and machine learning. The AI of the machine plus the intellect of the human advisor enables comprehensive & client-centric advice at a fraction of the cost of a conventional adviser. mymoneysage.in is an award winning personal finance platform. It helps you aggregate all your personal finance accounts like FD, Equity, Mutual Funds, PPF EPF, NPS including, Credit Cards & Loans etc. It's one place where you can track, plan and invest seamlessly. 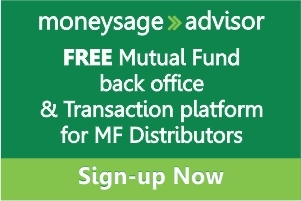 mymoneysage.in empowers you to invest in zero commission direct plans of mutual funds thereby helping you generate higher on investments. The best part is it comes with a lifetime Free plan. Switch to direct mutual funds in 3 simple steps, earn 30% more return on your investments. 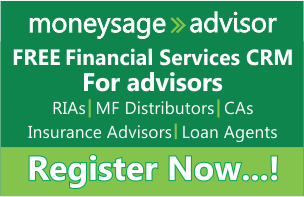 Register to get a FREE Mymoneysage account. Should you benchmark your investment portfolio? Budget 2019: How will it affect your finances?